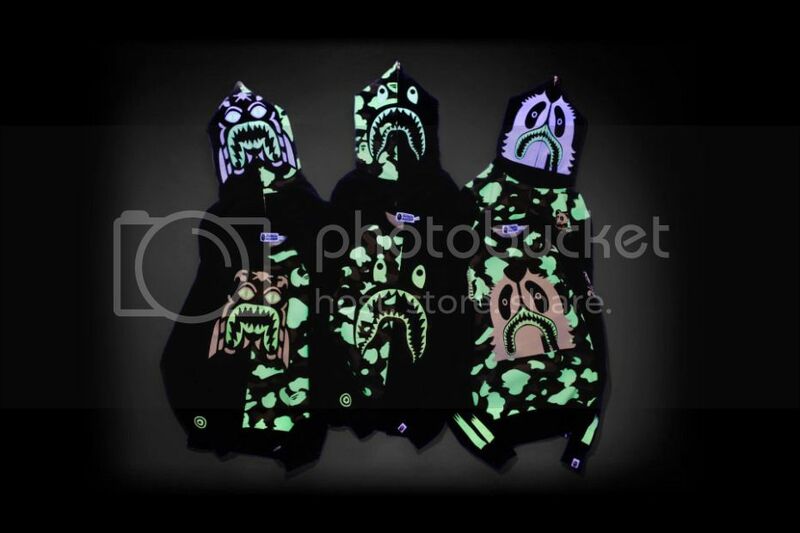 Just when you thought A Bathing Ape couldn’t reimagine its iconic full-zip hoodie any differently, the longstanding streetwear house premieres the above “Glow in the Dark” collection of apparel. Consisting of both crewneck sweatshirts and hoodies, each piece combines BAPE‘s signature camouflage pattern with your choice of the shark, tiger or panda face in a glow-in-the-dark ink that will surely break a few unsuspecting necks after nightfall. All six pieces are currently available exclusively through ZOZOTOWN.